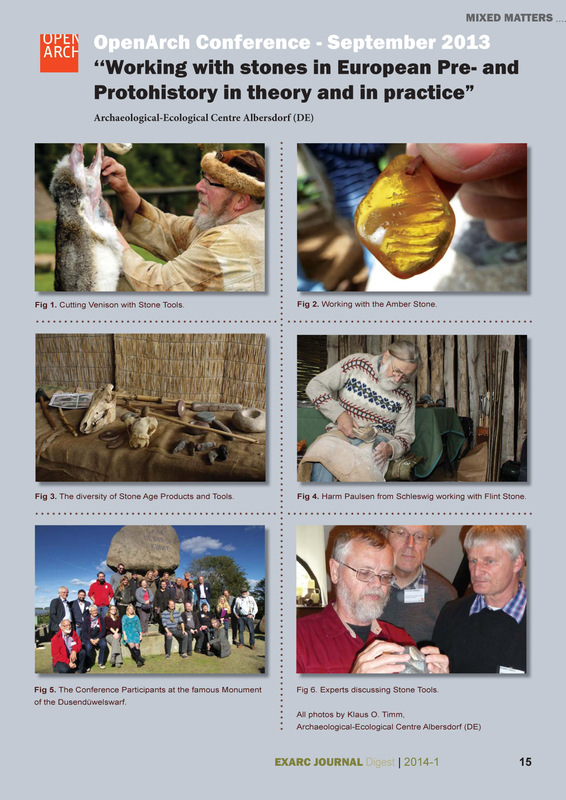 We are bringing you a choice of abridged articles from volumes 2013/3 and 2014/1. 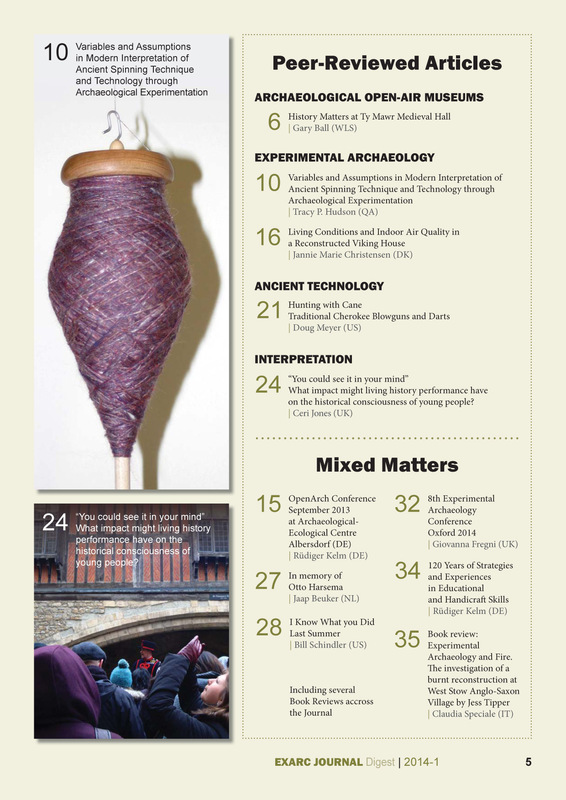 For experimental research to provide meaningful data we need to critically approach the possibilities of experiments and also the limitations of our practical skills, Tracy Hudson argues in her article Variables and Assumptions in Modern Interpretation of Ancient Spinning Technique and Technology through Archaeological Experimentation. 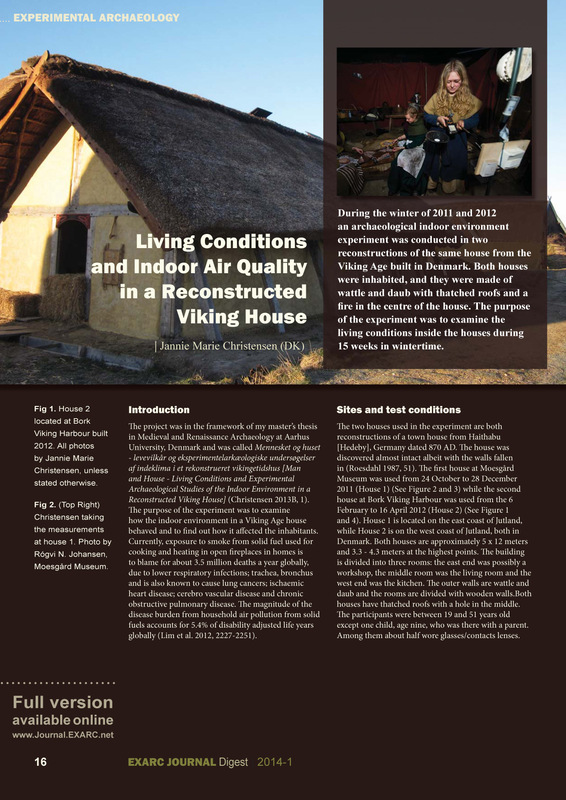 Jannie Marie Christensen brought us results of experiments into how the indoor environment in a Viking Age house behaved. 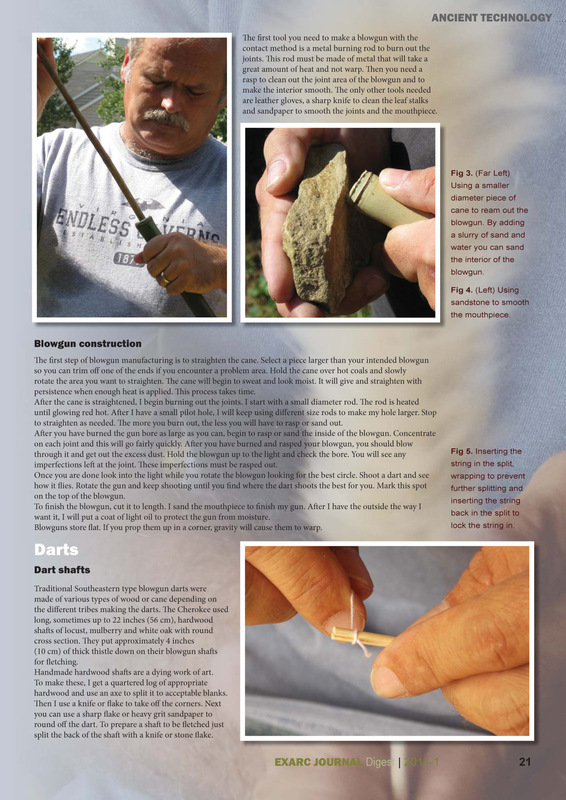 Doug Meyer discusses the making of Cherokee blowguns. 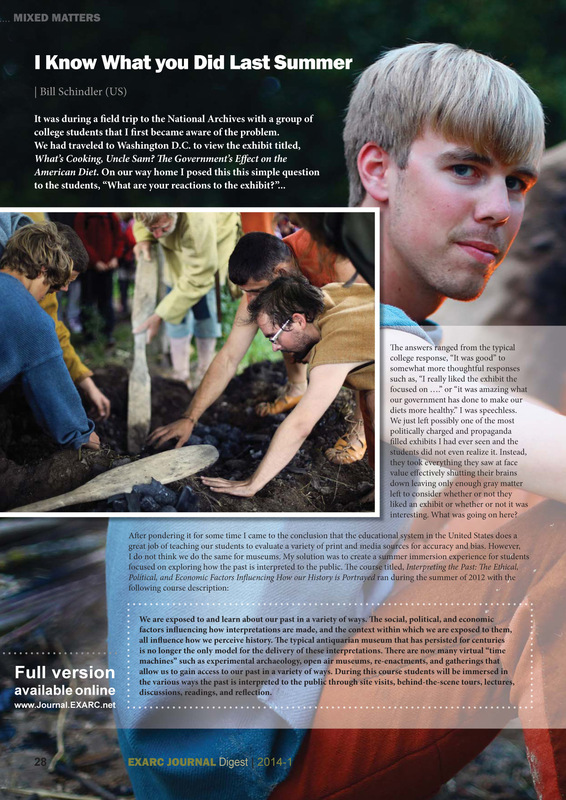 From the Interpretation section we have chosen an article by Ceri Jones exploring how living history might contribute to the development of young people’s historical consciousness and help them understand the social and cultural differences. 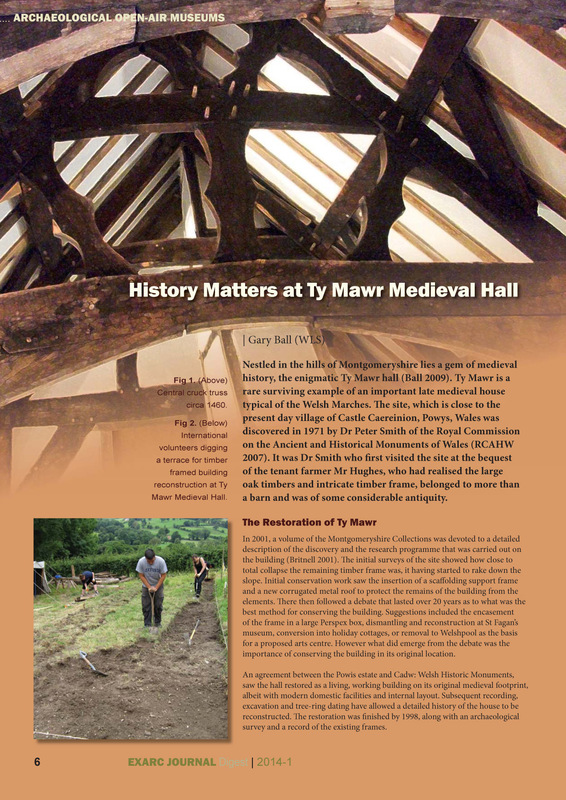 Gary Ball introduces us to Ty Mawr, a rare surviving example of an important late medieval house typical of the Welsh Marches, where the organisation is based. 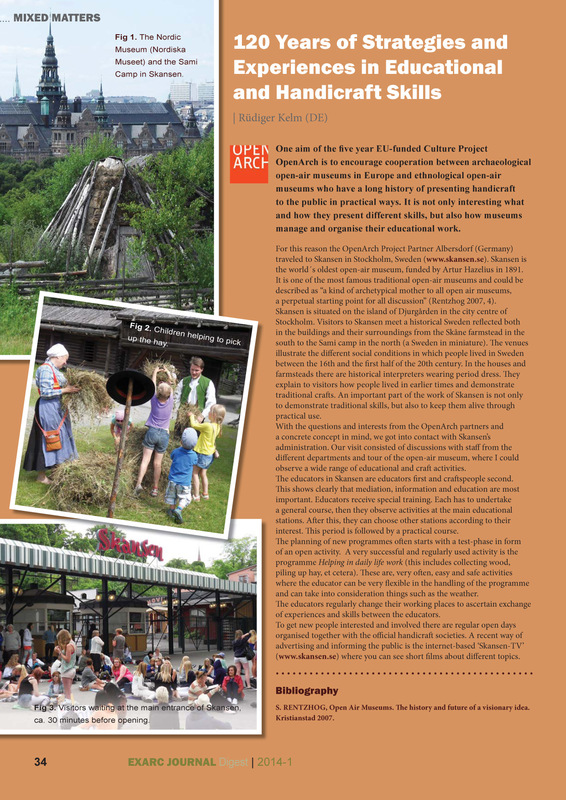 The cover image of the January 2014 Digest showed a Ladakhi woman on a roof preparing wool for spinning. The left side of the photo was enlarged, and mistakenly included a bowl of chickpeas by the woman's side. We are informed by the photographer, Tracy Hudson, that the actual vessel contained apricot nuts, commonly processed in Ladakh. 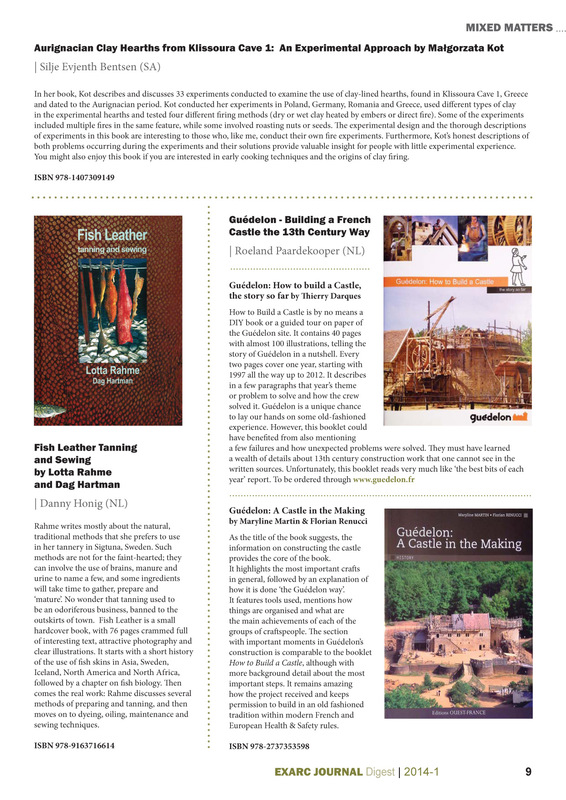 We apologize for this error, and for modifying the image without the author's permission.